Feel like something is missing from your life? Ready to find it this year? 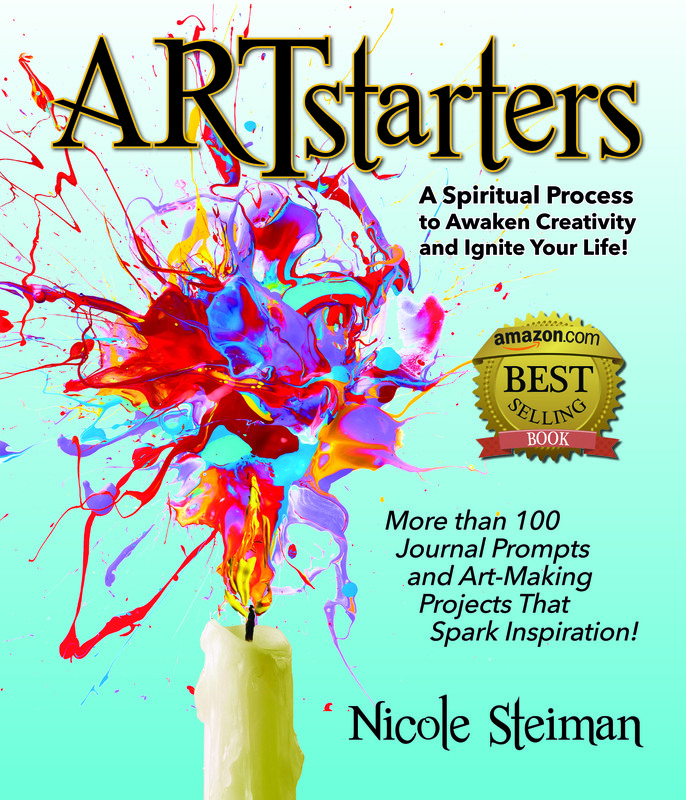 ARTstarters is a unique approach to inspiration using art techniques, journaling, reflection -- all combined with the power of your faith. Join our interactive Facebook Page! A Spiritual Process for Using Creativity & Art Making to Ignite Your Life! Get ready to use your God-given creativity to get inspired! When we slow down to create art and then reflect on it, we notice things about our life that we might not otherwise. The same qualities that strike an artist with inspiration can bring us ideas about our relationships, careers, life balance, spirituality and purpose. This book will help you think like an artist through over 100 art-making and journaling exercises that will explore the mindsets of possibility, listening, beauty, vulnerability and passion. Many art workshops and personal development programs encourage you to tap into your own power within, but they may have left you feeling like you're just not enough. The great news is that you don't need to be ENOUGH on your own. God is the Master Creator, and He is yearning to connect to us through His gift of creativity! The fun of making art will engage your whole spirit in the process. In accessing our inspiration, we are doing more than becoming better artists; we are becoming more of who we were created to be! Check out our new Kits: coming soon!